Back in the 60s, Avis Car Rentals advertised themselves in the States with a strapline that read: ‘We’re number two, so we try harder’. If you were to apply that slogan to an under-appreciated wine region somewhere in the world, there could hardly be a better candidate than Navarra. The vinous renown of Navarra runs a poor second to that of its near-neighbour, Rioja, arguably one of the most famous wine regions in the world. Let’s be honest – few of us could even point Navarra out on a map, let alone name some of its top producers. Yet, like Avis, Navarra is trying hard to carve out a niche for itself in a competitive global market – and not just for the rosé wines that used to be its main claim to fame.Navarra has got a lot going for it. Its geographical situation is enviable: sheltered from the Atlantic rains by a chain of mountains, watered by the tributaries of the Rio Ebro, its poor clay and stone soils are the perfect place to raise grapes. Undulating hills allow growers to plant at a variety of altitudes and with varying degrees of exposure to the midday sun, thus permitting winemakers to introduce complexity into their blends. The weather lends a hand, too: long, hot summer days are tempered by cool nights, which permits optimum ripening for the grapes and gives the resulting wines a very desirable freshness. There’s history in them thar hills, too. As phylloxera began to devastate France’s best vineyards in the 19th century, some of Bordeaux’s top winemakers headed over the border into Spain. Although many of them settled in Rioja, some of them ended up in Navarra, and the region benefited from their know-how – and from the fact that there was now a demand for their wines in northern Europe. Furthermore, the Bordelais brought with them the Cabernet Sauvignon and Merlot that are now as at home in the Navarran vineyards as the native Garnacha, Tempranillo and Viura. Sadly for the Navarrese, this heady international state of affairs didn’t last long. Their vineyards, too, eventually succumbed to phylloxera, and when the vineyards were replanted, thoughts of establishing a market for quality wines disappeared as production became firmly focused on bulk wines. In three short days in the region, I tasted elegantly made, traditional-style wines with alcohol levels of 12.5% abv; equally elegant modern wines with alcohol levels hovering around 14.5%; clumsy, Parkerised reds with too much jammy fruit, unbalanced alcohol and over-extracted tannins; wines made without oak, wines made with oak (French, Slovenian and American, or blends of two or more different types); reds, whites, rosés and sweeties – even a sparkling Muscat. Winemakers – and their marketing managers – were stumped when I asked what they thought Navarra’s USP was. They stroked their chins, they scratched their heads, but try as they might, they couldn’t come up with one statement that might unify Navarra’s diversity. Now, you could well argue that such diversity is a strength – and for wine buffs it certainly is. But in order for Navarra to get the attention it deserves, it needs to be able to sell itself to the man in the street – or, to be precise, the woman in the supermarket – and without working out how to sell itself, it will have problems marketing its wine. The Sarria vineyards lie several kilometres off the public roads, deep within a forest. 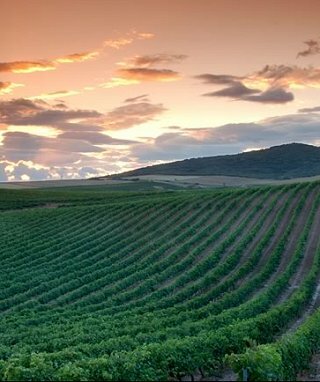 The 100 hectares of vineyards were planted in the 1950s by a Señor Huarte, who had made a mint in the construction business. His descendants sold the vineyard to a local bank in the 1980s, and when it became clear that there was little future in the production of bulk wines, a modernisation drive began in 2001. The end result has been the creation of a range of elegant, modern wines. Boutinot. Although the 2006 vintage of this old-vine Grenache rosé might be past its best by the time you read this, I’ve tasted a couple of vintages of this wine and it’s always spot on. The 2006 (89 points) was a dry, red fruit and spice- tinged wine with refreshing, zesty acidity and a pretty decent finish. £7.99. It’s unusual to find a varietal Graciano, but No 7 is made exclusively from this grape. It shows intense raspberry fruit on the palate, tinged with flowers and spice, and exhibits the grape’s typical crisp acidity, along with firm, ripe tannins. This wine needs food – preferably a hunk of rare steak or lamb. 91 points. £6.99. This cuvée is mainly Cabernet Sauvignon, with some Tempranillo and Merlot mixed into the blend. A voluptuous, complex palate of black fruit, spice and liquorice cloaks elegant, fine-grained tannins, the whole brought to life by vibrant acidity. This is still a young wine, and the oak needs time to integrate fully, but it should come together in the next year or so. 93 points. £25. Another young winery, Nekeas vineyards are situated in the north of Navarra, where the Sierra Perdon protects them from the cool winds that flow down from the Pyrenees. The young winemaking team enjoy experimenting with the region’s grapes, and produce an interesting and diverse range of wines. Navarra produces some world-class Chardonnay, and this is a case in point. Made only in exceptional years, there’s so much honeysuckle, spice and minerality woven into the orchard and citrus fruits on this wine’s complex palate that you could be forgiven for mistaking it for some exotic blend from the Rhône. 93 points. £12. A wine packed full of raspberry and pomegranate fruit tinged with the white pepper that gives away the fact that this is made from old-vine Garnacha. Unlike many Garnachas, however, this isn’t overblown and alcoholic – instead it’s fresh and restrained – very more-ish. 92 points. £9.95. The blend of Tempranillo and Merlot (80% of the first grape, the balance made up of the latter) made by Nekeas in 2006 is a lovely, fresh wine packed with crunchy plum and mulberry fruit, with hints of pepper and dark chocolate. At £5.70 a bottle, it’s an absolute bargain. 89 points. Adriana Ochoa, who recently took the helm of the family business as Ochoa’s winemaker, has worked overseas, most recently at Yalumba under the tutelage of Louisa Rose. She’s come home fired up with enthusiasm for new ways of making wine and the possibilities of experimenting with new grapes as soon as the DO regulations change to allow their introduction. Her enthusiasm and iconoclastic approach is already making itself felt on the range of wines produced at Ochoa. I’m not usually a great fan of Merlot, but this not only has rich plum cake, chocolate and blueberries on the palate, but also has a good, ripe tannic backbone and enough acidity to liven things up. Very long. Very good. One of a cracking range of varietal Crianzas – if you can’t find the Merlot, the Cabernet or the Tempranillo are also excellent. £7-9. 91 points. A blend of Tempranillo, Cabernet Sauvignon and Merlot. It’s quite traditional in style (the influence of an earlier generation of winemakers, perhaps? ), with strawberry jam, cedar and vanilla spice on the palate, but it’s also rich, elegant and complex. £9.99. 92 points. The The top-of-the-range Seleccionada is, as the name suggests, a selection of the best grapes from that year’s harvest. The 2000 has great depth and complexity, and the fruit, tannins and acidity are all in perfect harmony. A superb, lasting finish. £29. 94 points. ‘From father to son since 1647’ runs the motto emblazoned on each bottle produced by the Chivite family. The Chivites are, arguably, Navarra’s first family of wine, and have a worldwide reputation not only for the top-of-the-range Coleccion 125 wines, but also for the more mass-market Gran Feudos. When I visited recently, we not only tasted several vintages of Coleccion 125s, but also the soon-to-be-launched Pago wine, which comes from a delimited area of the Señorio de Arinzano vineyards. I’m not including notes for the latter as the release date for these wines have not yet been set. You could be forgiven for mistaking this 100% Chardonnay, for top-level Burgundy. A very oaky nose gives way to a refined, elegant palate full of citrus and apple fruit, with nuances of toast and nuts. This is a rich, creamy wine with loads of complexity. The current vintage (2004) is £19.95, but prices are due to rise for the 2005 vintage. 92 points. Waitrose, Selfridges, Albert Wine, DP Fine Wines, Planet Of The Grapes. The red from the same range. The blend is based on Tempranillo, but has 29% Merlot and 13% Cabernet as well. The resulting wine, although a touch closed on the nose, is full of cedary, spicy black fruit supported by firm, ripe tannins. Like the very best Navarran wines, this is effortless and precise. 94 points. £21.49, Whole Foods, Planet of the Grapes. A late-harvest Muscat à Petit Grains. Of all the sweet wines I tasted in Navarra, this one stood out for its wonderful balance, concentration and length. 90 points. £15.00 for 37.5cl, Waitrose, D Byrne. It’s worth noting that many of the wines I tasted – and are therefore the ones written up here – come from vintages that are yet to be released in the UK. However, the bodegas and wines I have recommended are consistent performers, so you should be safe if you snap up the current releases. It’s also worth noting that, in some cases, prices are approximations.